The information and advice published or made available through the ApneaTreatmentCenter.com web site is not intended to replace the services of a physician or other health care provider, nor does it constitute a physician-patient relationship. You should not use the information on this web site for diagnosing or treating a medical or health condition. You should consult a physician or other health care provider in all matters relating to your health, and particularly in respect to any symptoms that may require diagnosis or medical attention. Any action on your part in response to the information provided in this web site is at the reader’s discretion. Readers should consult their own physicians or health care provider concerning the information on this web site. The Federal Trade Commission has introduced new rules about the use of testimonials. Google also requires a formal disclosure to be displayed as they serve ads leading to our site. We support these policies and believe it is important that all sites adhere to such policy enforcements, as it makes the internet a more reliable and trustworthy source of information for all users. Greater transparency is required of all websites, especially those who do business online. We take pride in our product and services and want to ensure a good customer experience for everyone. Taking all this into account we believe it is important for you to understand the following before deciding whether you want to purchase anything from us. The testimonials published on ApneaTreatmentCenter.com are all true, and reflect the experiences and opinions of real people who have received free information and paid products from ApneaTreatmentCenter.com (and its predecessor, Apnea Treatment Guide). These testimonials were submitted voluntarily by subscribers and customers, via email. Copies of these emails have been stored electronically. If you would like to submit a testimonial to ApneaTreatmentCenter we would be happy to receive your thoughts and opinions on our products (both free and paid products). We will ask your permission to publish your testimonial, but will only do so with your express written consent. The testimonials provided by users of our products probably do not reflect the results of typical users (although that is difficult to determine, because we do not hear back from every user of our products). Stating the typical result is also not easy because results depend on whether people actually use the program material as recommended and implement the techniques for on a regular basis. We would never claim that our sleep apnea treatment products are a “magic pill”. The individual using the program must make a diligent effort or results will not be obtained. And even if you do follow the program as instructed, there is a chance you will see little or no benefit. 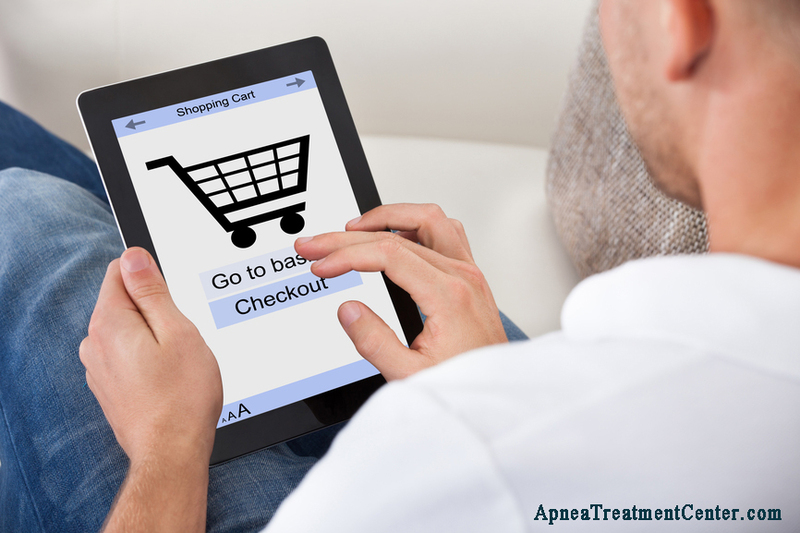 Bottom line: your success using any of our sleep apnea treatment programs is dependent on many factors. Even though our programs are based on published scientific research, we cannot assure you that they will help you. We can only assure you your full satisfaction with a 60-day money back guarantee. ApneaTreatmentCenter.com does not collect any personally identifiable information, nor do we sell or distribute email addresses. ApneaTreatmentCenter.com collects only aggregate information pertaining to visitors to its site, including domain name, visited pages, referring URLs, and other publicly available information. ApneaTreatmentCenter uses this information to help improve its web site and services, and to customize the content of its pages. We do not sell or commercially make available specific information about our users, members, or customers, except in cooperation with law enforcement bodies in regards to content violations or violations of applicable laws. ApneaTreatmentCenter.com contains links to websites owned by third parties. These links are provided solely as a convenience to you and are not an endorsement of the contents of those other websites by ApneaTreatmentCenter.com. We are not responsible for the content of any linked websites and make no representations regarding the content or accuracy of materials on such sites. If you decide to visit any third-party websites using links from this site, you do so at your own risk. ApneaTreatmentCenter.com is presented for use by the general public without warranty or assurance. We are not liable to any user or anyone else for any decision made or action taken based on reliance upon the information contained on or provided through the site. We do not make any express or implied warranties, representations or endorsements of any kind whatsoever (including without limitation, warranties of title or non-infringement of third parties’ rights, or any warranties of merchantability or fitness for a particular purpose) with regard to the service, or with respect to any information, product, service, merchandise or other material provided on or through the service. ApneaTreatmentCenter.com does not warrant or guarantee the accuracy, completeness, correctness, timeliness, or usefulness of any information, services, or other material provided on or through the site. We make no warranty or assure you that the website will be uninterrupted, timely, secure, or error-free. In no event shall ApneaTreatmentCenter.com be liable for any damages whatsoever (including, without limitation, incidental and consequential damages, personal injury/wrongful death, lost profits, or damages resulting from lost data or business interruption) resulting from the use or inability to use the ApneaTreatmentCenter site or its content, whether based on warranty, contract, tort, or any other legal theory, and whether ApneaTreatmentCenter.com is advised of the possibility of such damages. This disclaimer was updated on November 15th, 2015.